Frank Bacelli is a partner in the Corporate Practice Group in the firm's Washington, D.C. office. He is also a member of the Private Equity, Mergers and Acquisitions and Emerging Growth/Venture Capital Teams at the firm. Frank focuses his practice on private equity, mergers and acquisitions, and venture capital matters. 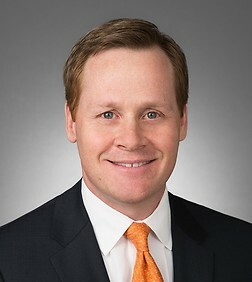 His practice involves a full range of corporate transactions, including leveraged buyouts and recapitalizations, mergers and acquisitions, venture and growth equity financings, and joint ventures. Frank has extensive experience as lead counsel representing portfolio companies of sponsor funds in add-on acquisitions, dispositions, corporate governance, and day-to-day legal and commercial matters. Frank also regularly provides legal and strategic advice to emerging companies on formation, structuring, financing, and corporate governance matters. Representing Micropact, Inc. (a leading provider of specialized, vertically oriented case management and business process management applications for government) in its sale to Tyler Technologies, Inc. (NYSE: TYL). Represented Gryphon Investors and its portfolio company Transportation Insight in connection with its acquisition of Nolan Transportation Group (NTG), one of the largest and fastest-growing non-asset freight brokerages in the United States. Represented Molecular Products Group (a portfolio company of Arlington Capital Partners) in connection with its acquisition of the SODASORB business from Henkel AG & Co. KGaA. Represented Gryphon Investors in connection with its acquisition of Transportation Insight LLC, a leading provider of enterprise logistics and transportation brokerage services. Represented CACI International, Inc (NYSE: CACI) in connection with its acquisition of the systems engineering and acquisition support services business of CSRA LLC, a unit of General Dynamics Information Technology Inc. Represented Zemax, LLC, a leader in virtual prototyping software for optical product design and a portfolio company of Arlington Capital Partners, in connection with its sale to EQT Partners, a global investment firm. Represented CACI International, Inc (NYSE: CACI) in connection with its acquisitions of various government contracts, joint ventures and businesses. Represented Gryphon Investors in connection with its acquisition of Potter Electric Signal Company LLC, a provider of specialty electronic and electromechanical products and solutions for the fire safety industry. Represented CA, Inc. (NASDAQ: CA) in connection with the acquisition of Runscope, Inc., a San Francisco-based provider of SaaS API monitoring solutions. Represented Polaris Alpha (a portfolio company of Arlington Capital Partners) in connection with the acquisition of Solidyn Solutions, LLC, a provider of satellite mission management, command and control systems, virtualization and cloud computing, and large scale data processing systems to defense and intelligence agencies. Represented Ardian North America Direct Buyouts in connection with its acquisition of Italy-based Dynamic Technologies S.p.A., a maker of automotive fluid-handling systems and precision aluminum parts. Represented Arlington Capital Partners in connection with the acquisition of Tex Tech Industries, Inc., a leading manufacturer of specialty high performance materials serving the aerospace, defense, and industrial industries and select sporting applications. Represented Jaguar Land Rover and its mobility services business, InMotion Ventures, in its $25 million investment in Lyft, Inc. Represented Jaguar Land Rover and its mobility services business, InMotion Ventures, in its seed investment in SPLT. Represented United Flexible (a portfolio company of Arlington Capital Partners) in its acquisition of Scotia Technology, a leading designer and manufacturer of small-diameter precision fixed tubular components for the aerospace and defense industry. Represented Polaris Alpha (a portfolio company of Arlington Capital Partners) in connection with the acquisition of Proteus Technologies, Inc., a developer of mission critical technologies, software and solutions to the aerospace and defense sector. Represented CA, Inc. (NASDAQ: CA) in connection with the sale of its Cloud Service Management business to ServiceAide. Represented Dacor Holdings, Inc., a leading manufacturer of luxury kitchen appliances, in its sale to Samsung Electronics Co. Represented Interior Specialists, Inc. (a portfolio company of Littlejohn & Co.) in its acquisition of Creative Touch Interiors, Inc. from HD Supply, Inc. (NASDAQ: HDS). Represented CA, Inc. (NASDAQ: CA) in connection with the sale of its global Erwin business and assets to Parallax Capital Fund, L.P. Represented TeraLogics, LLC in connection with its auction process and sale to Cubic Corporation (NYSE: CUB). Represented CACI International, Inc. (NYSE: CACI) in connection with its acquisition of the National Security Solutions business of L-3 Communications, Inc. (NYSE: LLL). Represented Novetta Solutions, LLC (a portfolio company of Arlington Capital Partners) in connection with its auction and sale to The Carlyle Group. Represented Tullett Prebon (LON: TLPR) in connection with the sale of Unified Energy Services, LLC as part of a management buy-out transaction. Represented the general managers and executive management team of Austrian Motors Corporation in connection with the sale of the company to New Country Mid-Atlantic Group Inc. Represented Tullett Prebon (LON: TLPR) in connection with the acquisition of certain assets relating to the primary fixed income business of an inter-dealer brokerage firm.